If you are planning to move any time soon, make sure to understand the importance of getting moving paperwork in order. While dealing with numerous moving-related details may seem overwhelming, you should pay attention to the relocation paperwork that goes along with it. Unpleasant surprises or unexpected turns of events are likely to happen if you are not acquainted with the most important terms and documents. 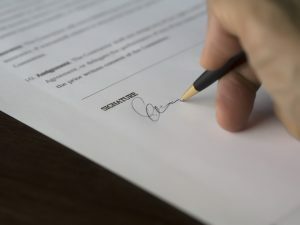 Not only are you expected to understand each legal clause of the move, but also you should save the copies of each document in the course of the move. – Moving estimate is one of the first documents you will face during the relocation process. 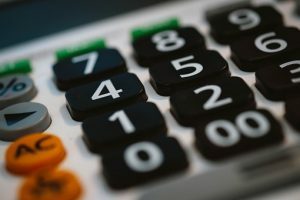 If hiring professional NYC movers is part of your unique moving process, make sure you know the difference between binding and non-binding moving estimate. In case of any concerns and doubts, do not hesitate to request further explanation and clarification. – Binding moving estimate indicates the total moving cost that has been based on the overall weight of the household items. Regardless of the final weight of the shipment, you get to pay the agreed price from the original moving estimate. Your movers will make a detailed inventory of your belongings and list them in the moving estimate. In case you need to add some items that were not previously mentioned in the inventory, talk to your movers and try to reach an agreement. The stated price of moving services is an approximate estimate, so you are paying for the actual weight of the shipment. 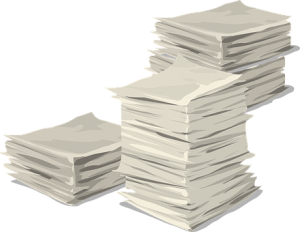 Moving paperwork – are you ready for moving day? – Home inventory sheet is a final list of the items that are going to a new home. Check items off the list while they are being loaded to the truck. However, do not sign the sheet before you are 100% sure that no damage was made to your belongings during the transport. Only after making sure that each item has been delivered and unloaded successfully you can sign the home inventory sheet. – High-value inventory sheet contains list of the valuables that should be moved to a new location. For the purpose of properly covering your possessions, notify your movers of any pieces of great value. Even if you are moving locally, most moving companies will insist that they do the packing of those delicate and expensive items. Otherwise, they cannot guarantee their safety during the transport. – Bill of lading contains the list of services, charges, additional fees, insurance coverage, pickup and delivery date, form of payment, movers’ liability, contact and license details, dispute settlement procedures and other pertinent information. Bill of lading is a final contract with the moving company and it’s the most important part of moving paperwork you need to sign. No matter how intense and stressful moving day is, always find the time to read carefully all moving paperwork before signing. Full value protection offers compensation for lost, damaged or destroyed goods. In case the item gets damaged during the process your movers can either repair or replace it afterwards. Unless your valuables are listed on a high-inventory sheet, your movers are allowed to limit their liability. As it turns out, released value protection is the most economical one, but it offers minimal coverage. While it’s issued at no additional charges, it offers a rate of 60 cents per pound. Furthermore, keep in mind that in case of any damage your movers will compensate you according to the weight instead of the actual value. Alternatively, you can purchase an additional insurance coverage from the third-party company. How to handle disputes with your movers? Unfortunately sometimes things don’t turn out the way you’d hoped and accidents do happen. If you end up being unhappy with the moving services or movers’ attitude, you may take advantage of our tips that cover one of the most important issues – how to file a complaint against your movers. In case you don’t work out an agreement with the moving company, consider submitting an official complaint with Federal Motor Carrier Safety Administration (FMCSA) or Better Business Bureau (BBB). When preparing for a big day it’s wise to keep your moving paperwork organized and secured. Getting your documents together before the actual moving day is the key to a successful household or business relocation. – Get references from your previous employer that may be helpful while looking for a new job after you move. Keep in mind that you will have to update some of the documents after the move. Therefore, get acquainted with the local regulations and deadlines – you don’t want to miss them!